The roots of the plant have long been harvested as a vegetable and were well known to the ancient Egyptians, Romans and Greeks. Although the Egyptians first produced a sweet treat from the roots, the confection we know as "marshmallow" today no longer contains any botanical materials. 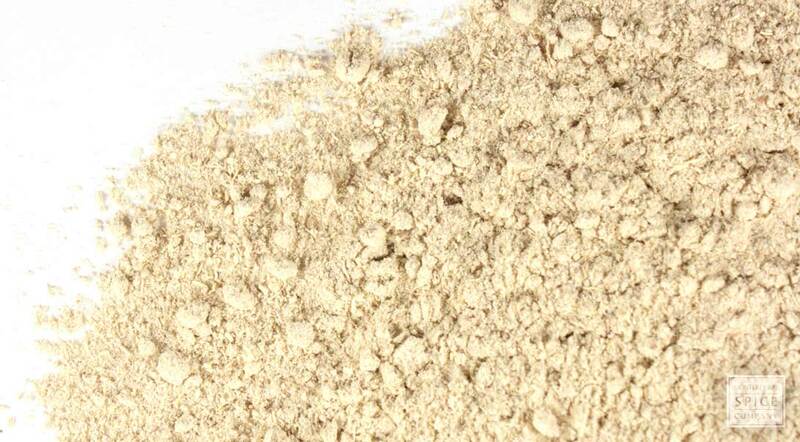 However, an extract made from marshmallow root is still popular in Middle Eastern cuisine, most notably as an ingredient in a traditional food called halva, which contains a varied combination of tahini, clarified butter, sugar, seeds, nuts and vegetables. storage tips Store in a sealed container in a cool, dark cabinet or pantry. appearance & aroma Pale and woody, with a mild scent. cosmetic Infuse in oil to make various skin care products, including soaps, ointments and creams. culinary Use to thicken foods. aromatic Add to herbal and resin incense blends. 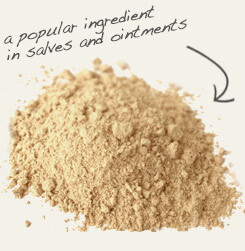 Combine with slippery elm when making skin care products. 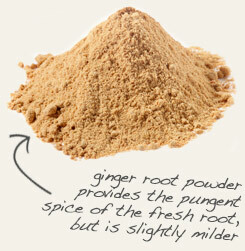 Partner with ginger root powder when making teas, syrups and lozenges. Mild in flavor; slightly sweet.